Happy Saints: New! 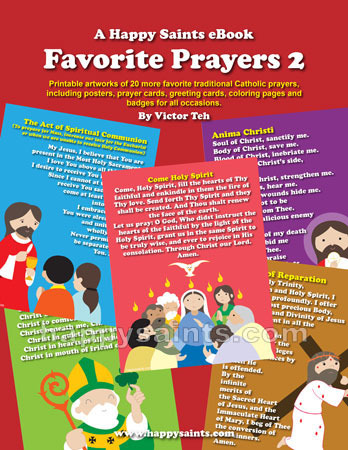 Happy Saints Favorite Prayers eBook 2! 20% off! New! Happy Saints Favorite Prayers eBook 2! 20% off! Delightful artworks in printable posters, prayer cards, greeting cards, coloring pages and badges for non-commercial use.